Arcadia CA is located about 13 miles from downtown Los Angeles at the base of the San Gabriel Mountains. It is known as a pleasant residential community that is great for raising kids. Historically, gambling, hospitality, and entertainment were the mainstays of the economy in Arcadia CA. Much of the gambling took place at the Santa Anita Park Racetrack. The racetrack was temporarily closed from 1909 to 1934 when California outlawed thoroughbred horseracing. Once the ban on racing was repealed, the track went on to host many famous races including some featuring Sea Biscuit. Visitors can see some mementos regarding Sea Biscuit’s career as well as other racing memorabilia on display at a well-known Arcadia CA restaurant named The Derby. 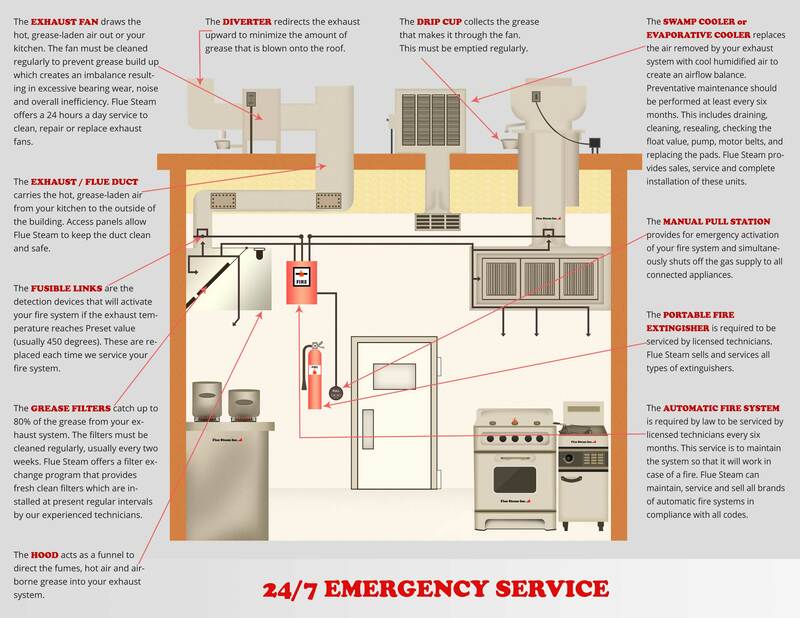 Regardless of what kind of restaurant you may own or operate, Flue Steam can help you stay safe and fire code compliant by providing air control and fire prevention services for your commercial kitchen.